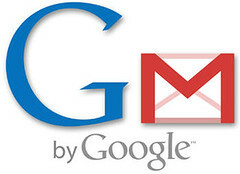 Google’s GMail is one of the dominant free email providers on the internet along with Microsoft’s Hotmail and Yahoo! Email. However, GMail is more popular in the scientific and the current student community which grew up with computers and technology. For those who already have a GMail account, here is an awesome GMail Email Productivity tip that will make your day. So, how is this useful. 1. Use this to tag and filter your emails. I am subscribed to a mailing list from my school. So, for my email, I use [email protected] I then filter and tag my email coming to this email address. Similarly, you can use different variations of your Gmail and then filter your email based on the ‘sent to’ address. Say [email protected] for companies I apply to for jobs and [email protected] to my buddies and family. You get the picture. Have you wondered which of those sites you might have subscribed to are selling your email address, filling up your Inbox with Spam. Well, now you can use the append feature to track your subscriptions. Say you are getting Spam being sent to [email protected], you know which site is selling out your email address. You can also use this to block a subscription or a mailing list. If you need to create an email id to subscribe to something or need a valid email for confirmation of a service, you can also use the append feature to create a one time email id. Say [email protected] After, you confirm your email, you can filter out [email protected] to go to trash from then onwards. Posted in Google, TechTips and tagged email, gmail, Google, TechTips. Bookmark the permalink.